And much more on SHOP! 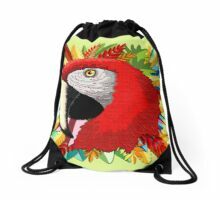 This entry was posted in shopping and tagged accessories, animal, animal lovers, art, awesome, beautiful macaw, bird, bird lovers, brazil lovers, christmas gifts, clothes, cute, decorative, design trends, digital art, discount, exotic animals, exotic bird, fashion, feathers, for sale, gift ideas, green, happy, head, joyful, jungle, macaw, Macaw head, macaw lovers, Macaw portrait, nature, on sale, ornamental, ornithology, paper, paper craft, paper leaf, parrot, parrot lovers gifts, promo, promocode, promotion, red, sale, sales, shop, shopping, shopping discount, Trends, tropical bird, vector art, xmas gift ideas, xmas shopping. Bookmark the permalink.